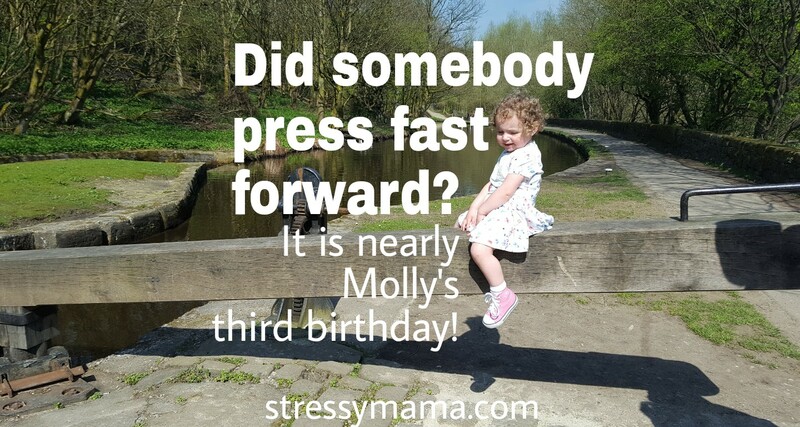 Molly turned three in July and ever since then her behaviour has been absolutely shocking. She’s always had a fiery temper so we are no strangers to bad behaviour. But even so, there has still been a shift in her attitude. It’s like she woke up as a completely different person on the day of her third birthday. We had a routine in place to deal with bad behaviour and it seemed to be working. It worked because she didn’t like the idea of being sent to the thinking step, having her toys taken off her, or being sent to time out. The problem now is that she has started acting like she’s the queen of the castle and seems to think she can do whatever she likes. She’s not bothered at all that she might get in trouble or that there will be consequences for her actions. Her behaviour has actually gotten to a point where if I ask her to stop doing something she’ll do it even more, and worse. She will cockily toddle off to the thinking step by herself. If she knows I am about to take a toy from her, she’ll throw it on the floor in anger. If she is being sent to her bedroom for a timeout she will scream as loud as she can before angrily marching upstairs on her own. Eventually, she calms down, apologies, and promises not to act that way again. Until five minutes later when the process starts again! We are going round and round in circles and all the while, her attitude is getting worse. 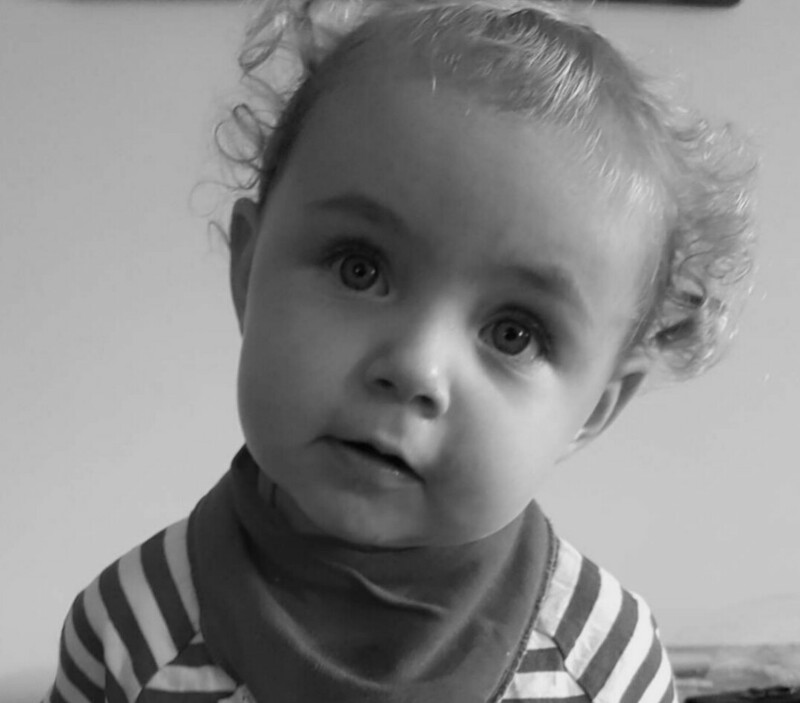 I need to nip her behaviour in the bud before it becomes an issue so I asked some fabulous parents and fellow bloggers for advice. Regardless of what kind of punishment or discipline you go with, make sure it’s consistent. It won’t work if you’re not going to continue with it throughout the bad behaviour. Additionally, try to pick your battles, small things don’t need massive punishment but overpraise of the good behaviour really helps them understand that you’ll give them attention for the good rather than the bad. We’ve just been through this! Ended up calling a meeting with the HV and realised that hubby and I weren’t being consistent in our expectations/how we were dealing with bad behaviour. We’ve also started completely ignoring whingeing/shouting etc which has really helped all of us! My son has autism he’s 11 but in some ways acts younger. What we find works well is that we count down from five and if he hasn’t stopped whinging or whatever the behaviour is by zero he loses bedtime so once you have that in place and have been consistent for quite a while all you need to do is say five or show a hand ie 5 and it stops. Don’t Get Emotional – When a child is flooded with a parent’s negative mood, he’ll see the emotion and won’t hear what you’re saying. Indeed, an angry reaction will only enhance the entertainment value for your child, so resist the urge to raise your voice. Take a deep breath, count to three, and get down to your child’s eye level. Be fast and firm, serious and stern when you deliver the reprimand. We send our kids to the naughty step for a short while if they misbehave after a warning. If they keep playing up, then they start to lose toys for a period of time. Fortunately, ours have never pushed it further than that. Always, always follow through – no matter what you have threatened (though make sure your threats are still reasonable)! If you don’t, they will never know whether you mean it or not and will continue pushing. Also, make the punishment fit the “crime” – there is no point in giving a time-out for drawing on walls – make them clean it up instead and see why it annoys you in the first place. We find all three kids react differently to discipline. Our eldest responds much better to positive reinforcement and praise rather than punishment, whereas the younger two respond to a stern voice and the removal of privileges (IPads, toy etc). We make sure we follow through with any “threat” and remain consistent. We also pick our battles. If you’re constantly disciplining them, they don’t learn to realise the severity of some behaviours. It starts to lose all meaning if you tell them off for every little thing. When our son is particularly acting up or if he hits out he goes to his bed for ‘thinking time’ for 3 minutes (preschool use a step). He doesn’t like it but will sit there for as long as we leave him. Afterwards, we explain why he was put there and say “that behaviour is not acceptable”. We’ve now heard it back to us. The other thing that has come into its own is our Irish Fairy Door. Fairy brings something small occasionally when his behaviour has been exemplary and the threat of Fairy taking his toy back is enough to stop him in his tracks most of the time. We use the Disney Cars 3 minis blind bags I got for £2.50 each in Asda and he constantly plays with them. Rewarding good behaviour has helped a lot in recent months. 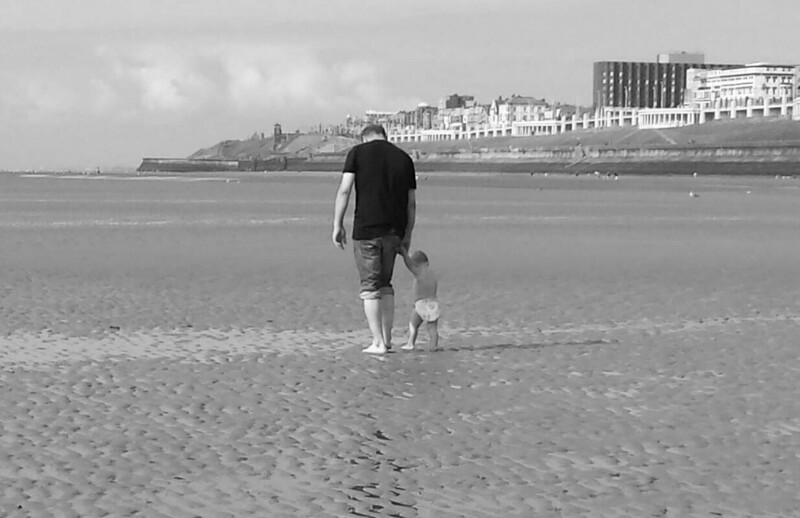 I found the most useful thing for my son was making sure he knew what he has done wrong by asking him about it straight after it happens, that way if he didn’t know exactly why he was in trouble I could explain to him in a way he understands, and also explain how I expect him to behave in future. When he shows the opposite positive behaviour he gets lots of praise. We had an issue with him getting very angry and upset losing board games, but that changed from to being happy for his friends and saying well done to them, which in turn got him praise for being kind which he thrives off. The bad behaviour seemed to sort itself out! I already do a lot of these things but after reading the bloggers comments, I have realised that maybe Chris and I weren’t always consistent with punishments. We haven’t always followed through with our ‘threats’ and haven’t always been on the same page. 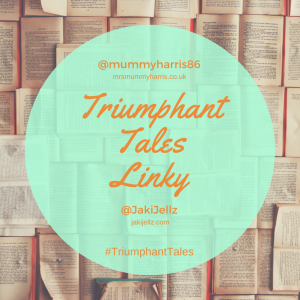 We have sat down and discussed how we will handle any future bad behaviour from Molly, and we are going to ensure that we both stick to the same routine. Fingers crossed the plan works! What do you think about these tips? 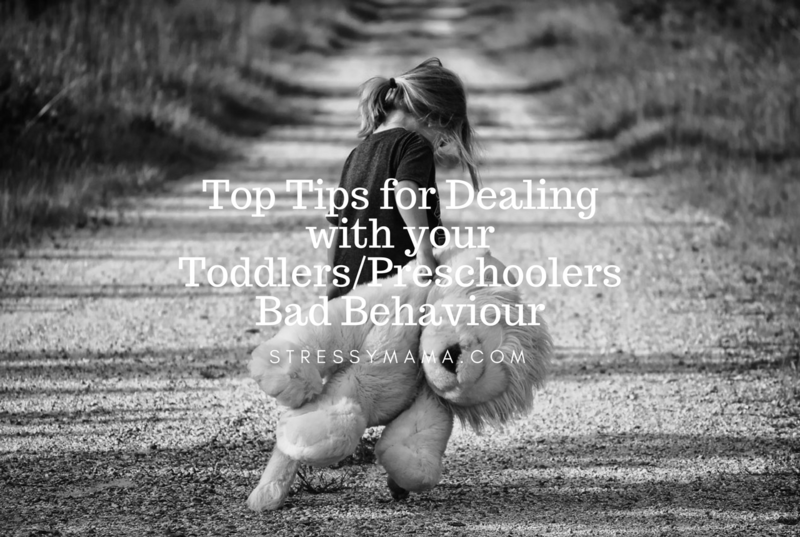 What would your top tips for dealing with your toddlers/preschoolers bad behaviour be? 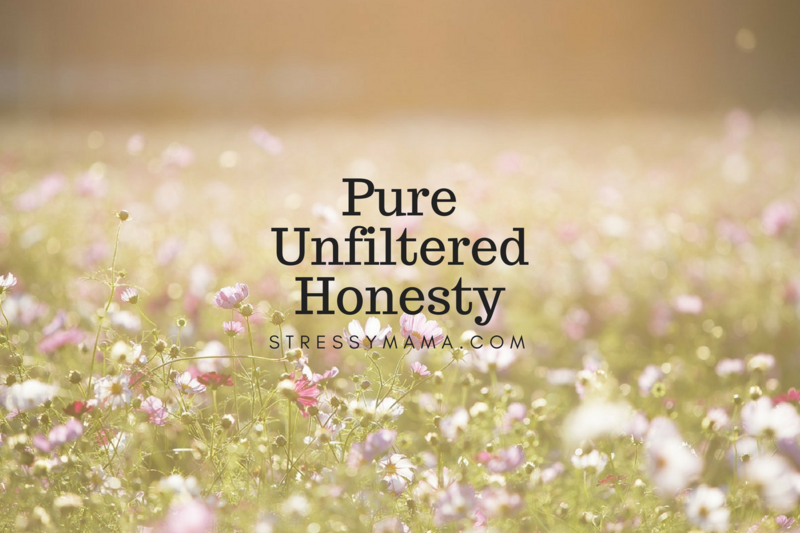 Love this post and I think you nailed it with collecting advice and personal experiences from other parents. 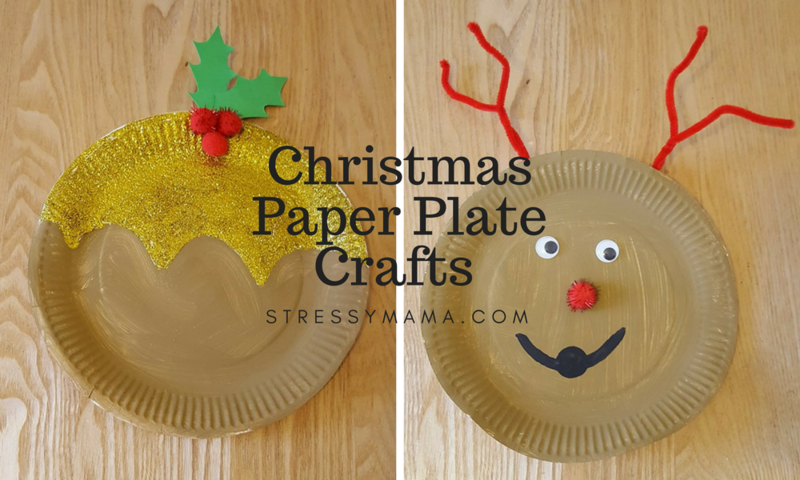 We had totally different experiences with our kids. Our daughter needed just few naughty step breaks (we called it “the take-a-break step” actually) and she was fine. She’s assertive but over all compliant. She’s the kind of child who tries to convince you of her own ideas. Our son is a totally different world, which was a hard discovery for us. Much more emotional and I think the language barrier is a further obstacle for him to express how he feels. Naughty step was completely useless with him, it actually made things worse. We’re still tuning our approach but empathy and consistency seem to be the keys. I personally think the key is to be consistent and realistic. So many times I’ll say no TV for a week!! that really isn’t going to happen is it. But no TV for the evening is more realistic. Also taking privileges away in the future like the party they won’t go to at the weekend – it’s too far away for them to comprehend and therefore they don’t take it seriously. Both parents need to be on the same page too.